The Munich U-Bahn (German: U-Bahn München) system is an electric rail rapid transit network in Munich, Germany. “U-Bahn” is the German contraction for Untergrundbahn or “subway”. The Munich U-Bahn began operation in 1971. 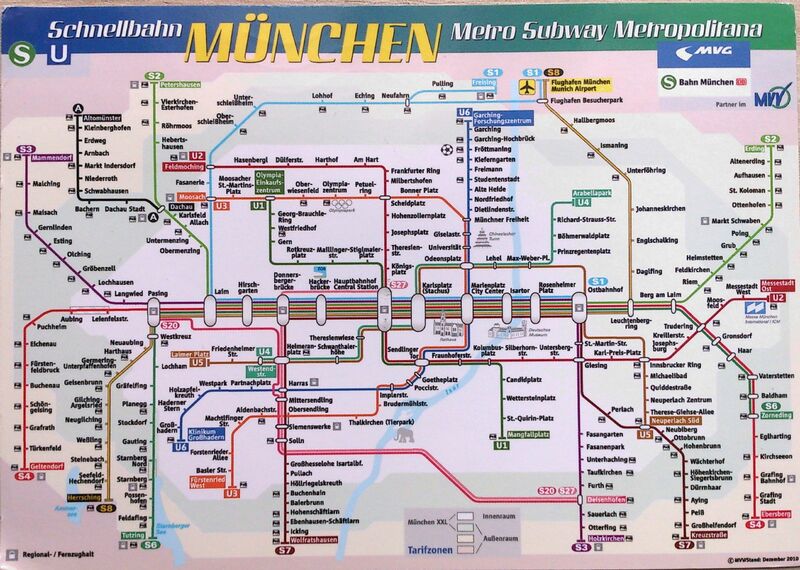 The Munich U-Bahn system currently comprises seven lines, serving 96 stations (100 stations if four connecting/transfer stations are counted twice), and encompassing 95 kilometres of routes.